First Crush Rush 5K a Successful "Healthy Family Event"
114 runners, joggers, skippers, and walkers participated in the first annual "Crush Rush 5K Benefit Run" hosted by Parducci Wine Cellars and co-sponsored by the North Coast Striders. The event raised over $1700 for Ukiah Unified School District School Gardens and Nutrition Programs. "Jess Arnsteen or 'Farmer Jess' was instrumental in putting together the run with help from the Parducci staff and Tim Thornhill. Mark Beaman, Associate Winemaker from Parducci and also with North Coast Striders, helped with the timer at the finish line and with awards," said Terry D'Selkie, Mendocino County's Garden Enhanced Nutrition Education (GENE) Program Coordinator, in a letter to the Ukiah Daily Journal. "Many runners commented that it was one of the most beautiful courses they had run because they were running through the vineyards, around the water reclamation pond and among trees as opposed to running on concrete," said&D'Selkie. The run took place two days before the harvest of Parducci Wine Cellars' estate Petite Sirah. In a thank you letter to participants, Arnsteen, manager of Parducci Wine Cellars' Edibile Ecosystems garden project said, "You brought great joy to the vineyard as you zoomed, strolled, or sometimes tasted your way through the last remaining Petite Sirah grapes." GENE, the garden-based nutrition education program, serves 32 schools from preschool to 12th grade in Mendocino County. The Gardens Project of North Coast Opportunities' Community Action Agency is proud to work with these school gardens, and together they reach more than 8,000 students and 1,000 families through gardening and nutrition events each year. To learn more or get involved, visit gardensproject.org. "Parducci Wine Cellars is a wonderful community partner involved in our school garden program," said D'Selkie. "We are so fortunate to live in a place where people care enough to support children, school gardens and local food." 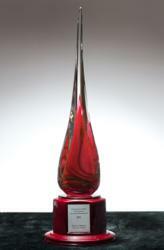 Parducci Wine Cellars is proud to announce our peer-selected win of the Green Chamber 2011 Business Sustainbility Award. The Green Chamber of Commerce notes that "Parducci’s family-owned and operated company is creating a model of quality and environmental sustainability for other wineries to follow." The Botanical Research Institute of Texas (BRIT) recognized Parducci Wine Cellars as America's Greenest Winery today. An article on PRWeb reports that Harry Bartel, Chairman of the Sustainable Winegrowing judging committee, said, "We are most impressed with Parducci’s strong commitment to the environment. Using certified sustainable winegrowing practices, 100% green energy, recycling 100% of its waste water, and being carbon neutral, Parducci sets a high standard for itself and the winegrowing industry. It’s a pleasure to recognize America’s greenest winery with BRIT’s International Award of Excellence in Sustainable Winegrowing."